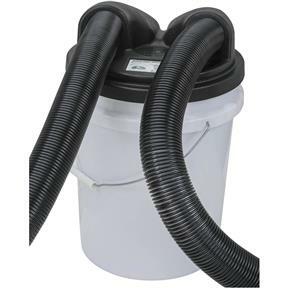 Designed for use with any 2-1/2" diameter shopvac® hose, the Mini Dust Collection Separator fits over a standard five-gallon bucket to convert a shop vacuum into a two-stage dust collection system. 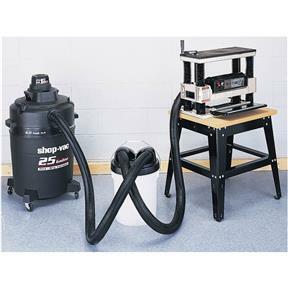 The Mini Dust Collection Separator increases the capacity and efficiency of the typical shopvac® by allowing heavier particles to drop out of the system before they reach the main container. 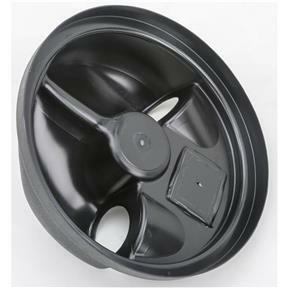 Finer particles can also be trapped by adding a small amount of water to the bottom of the bucket. 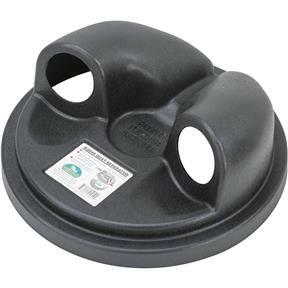 Clean-ups are easy because the Mini Dust Collection Separator just lifts off of the bucket. The Mini Dust Collection Separator makes shop clean-up a breeze! Used this a few times and it works really good. Keeps the dust out of the vacuum filter. Glad I bought it. Works wonders! Can't wait for full time warmer weather to kick in, will be using it on daily level! It has not been used yet, waiting for warmer weather in the shop.